For years, social workers at Cleveland's MetroHealth have used the United Way 2-1-1 Help Center to connect patients with social services, recognizing that access to stable housing, healthy food and transportation can improve health outcomes. As MetroHealth began working with United Way of Greater Cleveland to make that connection in a more personal and engaging way, the CMS announced a grant opportunity, providing a much-needed tool in the efforts: funding. The logical pairing of social services with healthcare hasn't happened naturally because the healthcare payment system “doesn't really value or appreciate the social service side,” said Tracy Carter, senior director of federal and state affairs for the MetroHealth System. With funding in reach, United Way pulled in other organizations in early January to form a consortium of providers to advance a patient-centered Accountable Health Communities model, which addresses that gap between clinical care and community services. St. Vincent Charity Medical Center, Cleveland Clinic, MetroHealth, United Way and CareSource, a nonprofit managed care company, are teaming up to apply for the $4.5 million grant, due in May, to support integrating the United Way 2-1-1 Help Center into the healthcare team. Many clinical practices ask if someone feels safe at home, but don't ask about other social needs, said Diane Gatto Barrett, director of United Way 2-1-1. This grant would fund implementing that type of screening systematically. Kyle Miller, director of government affairs and public policy at Sisters of Charity Health System, which owns St. Vincent, said the hospital already recommends patients use the 2-1-1 service, but a wraparound support integrated into the admitting process would be much better. “There's such a difference between someone getting connected to these services if you are able to say, 'Here let me sit down and call them with you. Let me start this process with you,' as opposed to, 'Here's a number that you should call,' ” Miller said. MetroHealth is pushing ahead on its project to roll out an in-person form of the United Way 2-1-1 service in the hospital by this summer. It's looking at technological support during triage and a physical space for United Way to be present. The MetroHealth pilot, which will be used with its women and frail elderly populations, can help test the model ahead of learning whether or not the consortium is awarded the grant. If the group doesn't receive the grant, Miller said he believes everyone working on the consortium still would be committed to linking clinical care and community support. Carter said she's thrilled to see CMS putting federal funds behind bringing the clinical and non-clinical sides together to better support a patient. “Oftentimes they have very complex and multi-layered needs, so by working in an interdisciplinary fashion, we think we can better improve their health and also their social condition,” Carter said. 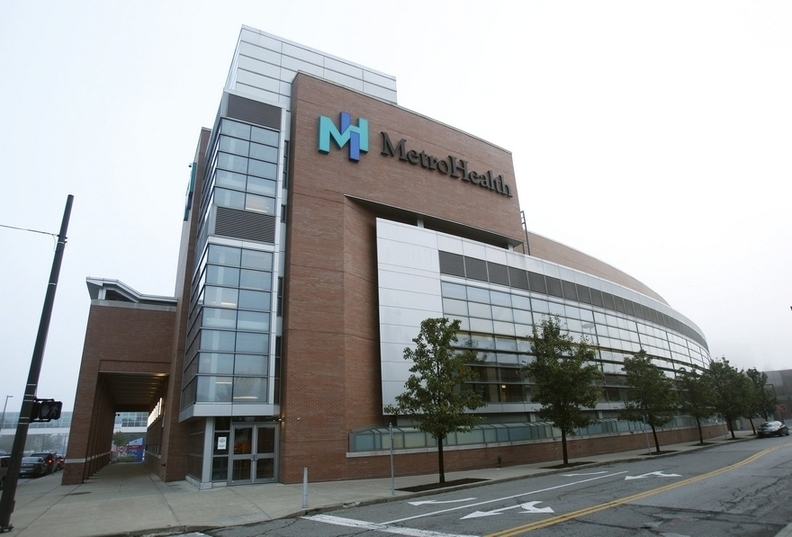 "MetroHealth pilot project aims to aid social services" originally appeared on the website of Crain's Cleveland Business.